Art in unusual spaces is initiating connections with the community. I love being involve in opportunities that bring art to the people. 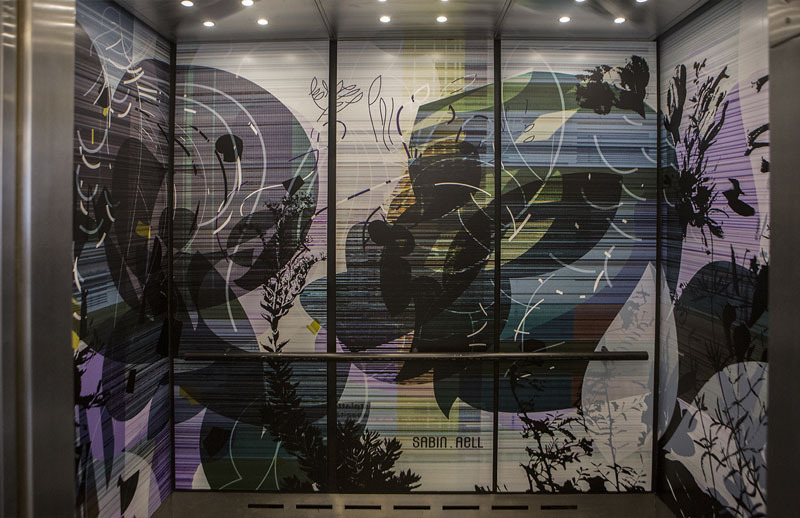 By tapping into the power of color and abstract rhythms this elevator will pull the public into the world of beauty and pleasure. I wanted to create something people don’t see everyday – my work has a a lot of details and offers a new perspective every time the elevator is used. Ride the elevator at the McNichols Civic Center Building at their opening hours from Monday – Friday 8 a.m.-5 p.m., Saturday & Sunday 10 a.m.-3 p.m.